Congratulations to Deanna Rhodes! 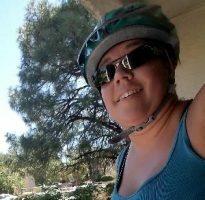 Deanna signed up for the Lobo Cancer Challenge Bike Ride during the two-day window after the employee meeting. Her name was drawn as the winner of a Lobo Cancer Challenge Bike Ride jersey.